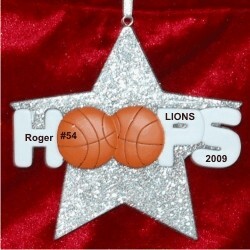 Sporting a huge, sparkling star that let's your favorite player know you're a big fan, the basketball super star personalized Christmas ornament features his or her details on the "HOOPS." 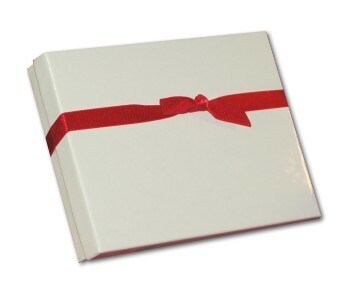 That information will be lettered where shown, but our calligraphers use a cool, hand-painted, more stylish font. One of many basketball player ornaments personalized from our collection, this one is ideal for your favorite guy or gal - and some coaches have one made up for each player on the team. Show your support for the hard work and success he or she has achieved by giving the basketball superstar Christmas ornament personalized and arriving in our classic velvet drawstring pouch.